How to Find the Right Window Installation Contractor | Window Installer. Finding the right window installation contractor can be difficult. Here is how to start the process of hiring a window installer. You want to read reviews and find a trustworthy company. 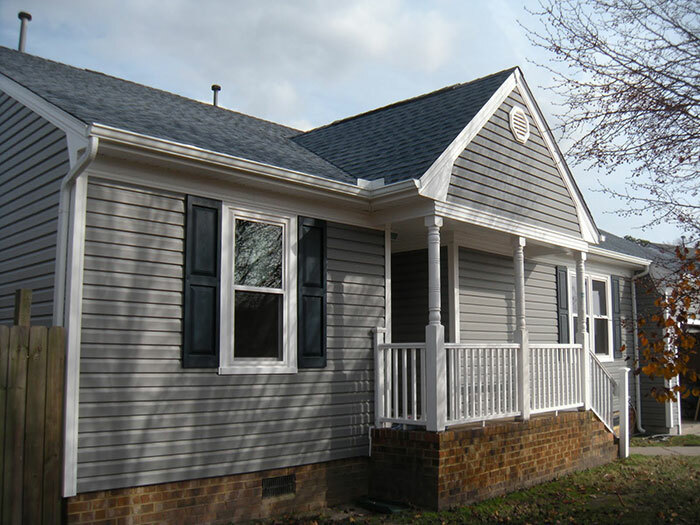 Accurate Siding and Windows is a reliable window company you can trust. We will make sure you get the help you need and offer the best decision for your wallet and home. When looking at window installation contractor, there are a few key points to ensure you find the right window company. There are many advantages to do a home window installation, such as adding beauty, and therefore; increasing the value of your home. Other benefits are comfort, creating a better atmosphere in your rooms, solving problems of air or heat getting in and out of your house, improving sound, and saving money from being energy efficient. Our window installer has a commitment to his customers to help with the project and increase the resale value of your home. Our window installation company is located in Virginia Beach. Having a broken window can mean being unsafe in your own home, and you should feel secure. Having safely fastened and secured windows and doors is imperative. Our window installation contractor will help you decide which windows is the best for you. Perhaps you’ll need to replace only one window or fix what’s broken in one or two rooms. There might be a dent or a flaw in the window sealant that can make it easier for burglars to come in. If that’s the case it’s important that we check all your windows and doors to make sure there’s no other way someone can break into your home. If water is coming into your home during storms, there will be serious damage to your walls, floors and possibly your belongings. Water damage repair can be costly and also emotionally draining. If you lose beloved keepsakes and heirlooms because of water damage, when you could of easily had a window installer fix the issue, is pointless. Also, mildew can cause awful smell and mold, which can result in health issues down the road. If this is the case and you’re getting leakage, it’s a very good reason to get a home window installer in your home. You may live by a busy street where buses go by all the time, or in a noisy neighborhood. You feel you can’t find the peace and quiet to sleep or relax inside of your own home. Perhaps you have very loud neighbors and neither of you predict moving any time soon. Having the rest you need inside your own home. You won’t believe the difference a window installation can make to the noise you receive inside your home. The difference will be night and day. Not only the outside look of your home will improve but also the general vibe and style. The inside look and finish will improve as well. Buyers will see all the mentioned benefits as a valuable asset. Home buyers don’t want to deal with replacing windows once they buy their dream home, they expect safety and comfort to come with it; offering that will increase the re sell value considerably. Accurate Siding & Windows, Inc., performs the following services using the finest products in the industry: Replacement Windows, Vinyl Siding, Decorative Vinyl Siding, Vinyl Replacement Windows, Double Hung Windows, Casement Windows, Insulated Windows, Alcoa Siding, ThermaTru Doors, Nailite, CertainTeed, Crane Siding, Simonton Windows, Dove Vinyl Windows, Andersen Windows, Doors, & Fiberglass Entry Doors. Offering: window repair, window installation service, home window replacement, Home Improvement, We are the best window installation contractor in Virginia Beach. Call us for your next project.